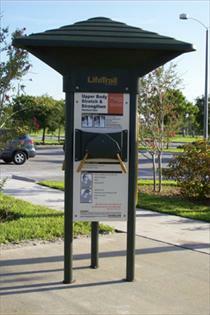 Pine Trails Park is the most popular park within the City of Parkland. If you or your children have participated in the City’s baseball, soccer, lacrosse, or football programs then chances are you have spent a good deal of time within this beautiful park. 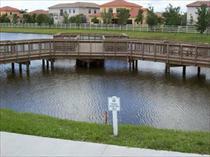 Pine Trails Park has a beautiful fishing pier and walking trails throughout the park including Life Trails fitness equipment. 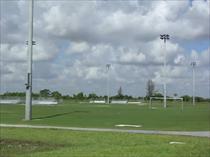 There are five multi-purpose fields for sports activities including one synthetic turf field. A state-of-the-art playground includes a NEOS for children and there are four T-ball fields, basketball courts, pavilions and plentiful open space. The City of Parkland Parks and Recreation Department is housed in the Amphitheatre and the monthly concert series and multiple special events are helped throughout the course of the year on the stage.